China will again take the leading share of the total annual photovoltaic (PV) demand worldwide in 2017, says the latest Gold Member Solar Report by EnergyTrend, a division of TrendForce. China’s solar demand for this year has surpassed earlier expectations due to the surging installations of distributed PV systems. 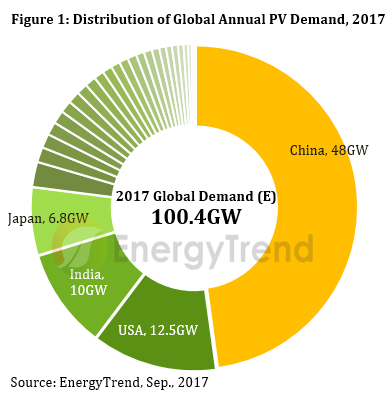 With China’s contribution, the annual global PV demand is also projected to cross the 100-gigawatt mark for the first time in 2017, coming to a 100.4 gigawatts. 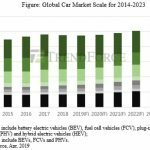 Compared with 2016, this year’s global PV demand will advance by about 26%. 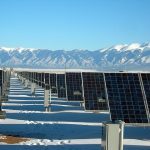 As the Chinese government continues to support its domestic solar sector, the annual global PV demand is expected to top 100 gigawatts through to 2019. EnergyTrend analyst Rhea Tsao pointed out that China’s PV demand for this year has been far ahead of expectations. The country’s cumulative grid-connected system installations for the first eight months of 2017 is estimated to have reached 39 gigawatts. According to EnergyTrend, China’s distributed system installations (including those related to the PV Poverty Alleviation Project) are expected to come to 22 gigawatts this year. The country’s total installed capacity for 2017 is estimated around 48 gigawatts, while its cumulative installed capacity is projected to reach 125.42 gigawatts by the end of the year. This July, China’s National Energy Administration revised the country’s installed capacity target under the 13th Five-Year Plan, earmarked a total of 86.5 gigawatts for the period from 2017 to 2020. Though the Five-Year Plan is mainly to support the building of ground-mounted PV plants, distributed PV systems, including those under the PV Poverty Alleviation Project, have also benefitted in terms of subsidy and grid connection precedence. 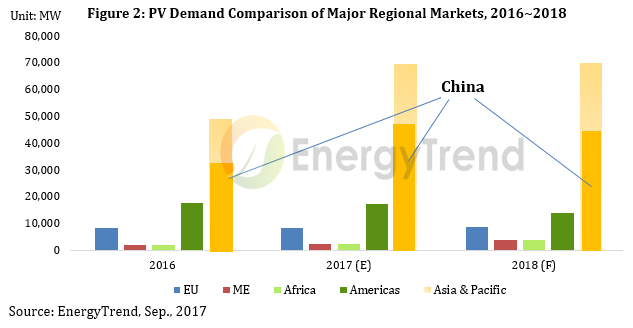 Hence, the outlook is bright for China’s distributed PV system market, with annual demand reaching the 15-gigawatt level from 2018 to 2020. By the end of 2020, China’s cumulative installed capacity is forecast to total around 250 gigawatts. The strong Chinese market will propel the global annual PV demand to 100.4 gigawatts this year – a new historical high. EnergyTrend’s ranking of the top regional markets by the share in the global demand shows that China will remain the leader. U.S. follows in second place with its annual demand reaching 12.5 gigawatts this year. India’s annual demand for 2017 is estimated around 10 gigawatts, making the country the third largest market. Japan is expected to take fourth place with an annual demand of 6.8 gigawatts. Together, the top four regional markets are going represent more than 75% of this year’s global demand. The U.S. solar market has undergone adjustments during 2017 in response to the extension of the Investment Tax Credit, and the country’s annual PV demand is projected to fall by about 15% from the 2016 level. For now, the outlook of the U.S market for 2018 is very uncertain because the country’s International Trade Commission may affirm Suniva’s petition and recommend relief from all solar imports under Section 201 of the 1974 Trade Act. Annual PV demand in the U.S. for 2018 could range from a low of 5.5 gigawatts to a high of around 10 gigawatts. India has formally surpassed Japan as the world’s third largest market this year and is expected to see steady increases in its annual PV demand. While Japan has dropped to the fourth place in the regional market ranking, the changes in its FIT scheme will keep its PV demand stable. Under the revised FIT scheme, which took effect at the start of Japan’s fiscal year of 2017 (April 2017), PV projects must complete grid connection before the end of the fiscal 2019 in order to be eligible for FIT. There are currently around 20 gigawatts of projects around Japan that need to be connected to the grid within these three fiscal years. Tsao added that China has made Asia the priority focus of the solar industry. Furthermore, the PV supply chain has gained significantly this year on account of the strong Chinese demand and the uncertainty resulted from Suniva’s petition. For the remainder of 2017, the solar market will enter its least active period in the third quarter. Stock-up activities will slow down a bit from the end of September to the middle of October. Nonetheless, demand across the supply chain will generally be above average despite the seasonal headwinds to the end of the year.